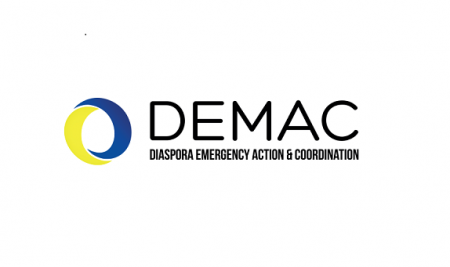 The Diaspora Emergency Action and Coordination (DEMAC) project has entered Phase II and we are excited to take the learning from Phase I and develop on it in this next phase. The first Phase effectively highlighted the work and impact the diaspora has when crisis occurs in their home countries. Our research helped to identify the need for diaspora and the formal humanitarian system to understand each other better and work together. The country AFFORD will be focusing on this phase will be Nigeria as we focus on countries experiencing humanitarian crisis caused by conflict. Our project partners Berghof Foundation will continue working with the Syrian diaspora and the Danish Refugee Council will be working with the Somali diaspora. We at AFFORD are looking for diaspora organisations who are focusing on responding to the crisis in Nigeria and Somalia who would like to increase their knowledge of formal humanitarian response and build relationships with the organisations that do this. If you are interested in learning more and seeing how to participate please email elvina@afford-uk.org so we can talk.